The star by far of the last planting of brassicas, that mostly didn’t size up in time for market or CSA, is without at doubt this unusual Nero Di Toscana strap kale. 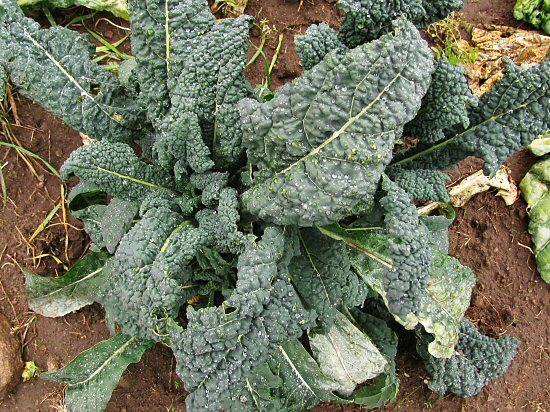 This Italian heirloom, apparently from Tuscany, is hardly better looking than the cold-beaten rest of the motley-looking crew: tiny cauliflower, mini savoy cabbage, some collards and this kale. But it’s growing back—been picked twice since October—and it’s amazingly, distinctively tasty. 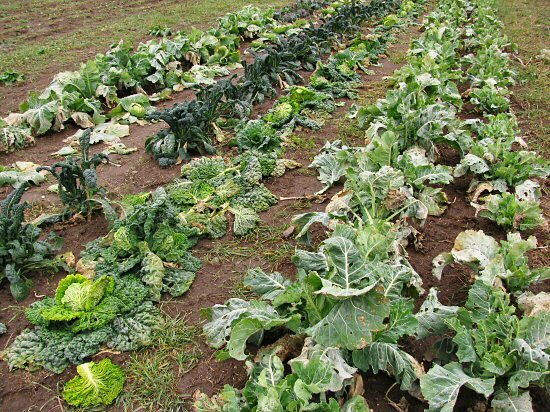 In the post-freeze veggie garden, looks aren’t everything! I’ve had the seed for a while, but grew it for the first time this season. It’ll definitely be back. this look very bad. very, very bad. Just stumbled upon your site a few weeks ago and have really been enjoying it. I started a small farm near Nashville, TN this year and your blog has been inspiring. I sell at a few markets and have a 50 member CSA and everyone loves that kale (although we call it Lacinado or Donosaur kale). The only downside, as you noted, is that it’s so slow to mature! It can usual rebound from a pretty heavy harvest about every other week, but it just takes a while reach that size, especially this time of year. Do you remember where you purchased the seeds? Do you think it was a Italian mail order company?